Indian Vanity Case: Pond's White Beauty BB Cream ~ Why It Is A-M-A-Z-I-N-G! 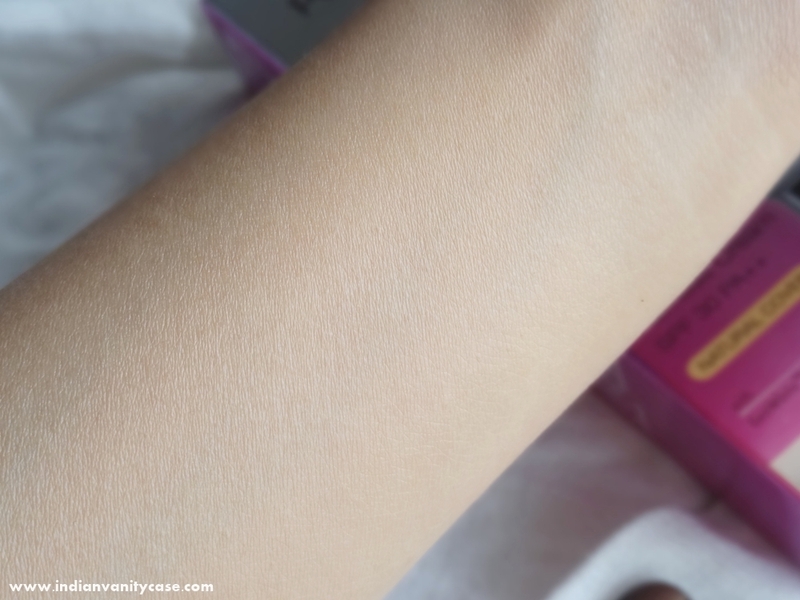 Pond's White Beauty BB Cream ~ Why It Is A-M-A-Z-I-N-G! One: I think "Really? Is it as good as I think?" Two: I search for the box it came in, so I can read the fine print. Three: I'll over-use it, daring it to slap my face with a blemish. For the past 3 weeks, the product under my 3-step scrutiny is Pond's White Beauty BB+Fairness Cream. Vitamin B3 - Pond’s signature ingredient, helps to reduce and control melanin accumulation on the skin. Vitamin E – A potent fat soluble anti-oxidant to neutralize the harmful effects of free radicals which can trigger melanin production which leads to darker skin. Allantoin – Recognized as an anti-inflammatory by US FDA found in the comfrey plant and helps to reduce processes that can lead to increased pigmentation . Advanced Superior Sunscreen Protection SPF 30 PA++ - Helps to protect against skin tanning and photo ageing. Although the shade looks okay in the pic above, it is a tad darker than my skin tone. Off-camera, my face looks a little bit darker than my neck. Finish: It sets into a satin finish, so I usually powder on top. On my combination/oily skin, it sometimes clumps up in some areas when I haven't powdered. Conceals? 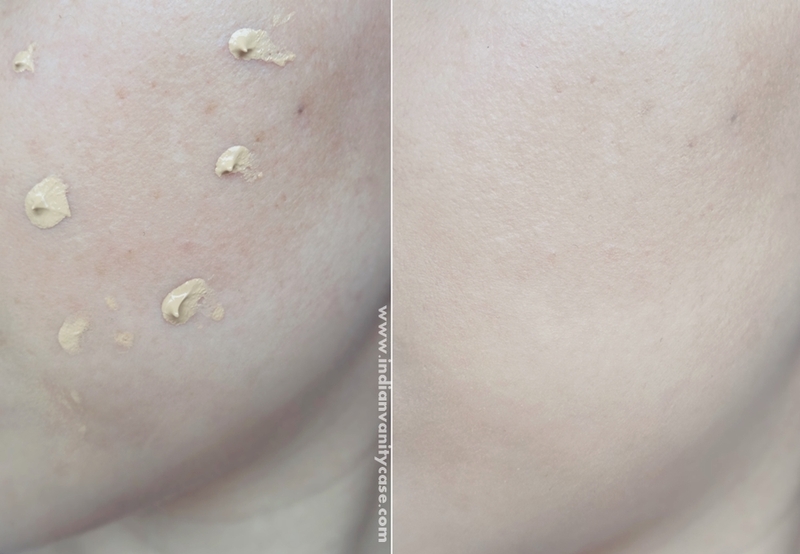 You know how most BB Creams claim to conceal spots, but they don't really do anything? Well, this is the only one I've tried so far that really does conceal at least 50% of the spots (Refer to pic above). When I layer after the previous application, it covers spots even more. Scent: It smells really good, like all Pond's White Beauty products. Effects: I have a scar on my chin from a big pimple I got a few weeks ago (mainly coz I went to bed with makeup. One night. One night! ), and I noticed it's healing faster and doesn't have that hard scar tissue feel. I guess it's the Allantoin? It minimizes the look of pores and fine lines. When it sets, I feel like my skin rises a little. With a lot of BB Creams, you have to blend blend blend, but this one melts with a few taps. It carries words like 'White Beauty' & 'Fairness', but it's the only BB Cream that doesn't have that 'whitish-ness' I dislike in most BB Creams. Now for the BONUS! Not only is it an awesome BB Cream, it works as an Eyeshadow Primer too! Eyeshadow Primer is a base that prevents your eyeshadow from smudging & creasing, and makes your eyeshadow last longer and look more vibrant. A necessity, especially if you have oily eyelids. Eyeshadows are Urban Decay Tease from Naked 2 Palette & Inglot #341. See how it makes the eyeshadows look a little more pigmented? On my eyelids, I tried the cream with and without powder on top before applying eyeshadows, and neither creased. You could also try both ways and see what works better. Urban Decay Primer Potion Ingredients: Isododecane, Cyclopentasiloxane, Disteardimonium Hectorite, Trimethylsiloxysilicate, Polyethylene, Trihydroxystearin, Triethylhexanoin, Isopropyl Lanolate, Sorbitan Sesquioleate, VP/Eicosene Copolymer, Dimethicone, PEG-40 Stearate, Propylene Carbonate, Phenoxyethanol, Synthetic Beeswax, Propylparaben, Methylparaben, Butylparaben, Ethylparaben, Isobutylparaben. That's only to show you what the 3 have in common. I don't know which ingredient does what, but this is not the first time I've gone through the lists of unpronounceable words. I have to confess that the ingredients of UDPP & TFSI have been sitting in my comp, because I've been trying to make (DIY) an eyeshadow primer with inexpensive products many many times, but I never got the formula right- too thick, too greasy, too bleh. I would have been so happy if I ended up with Pond's BB Cream formula. Well, now we have a ready-made formula, and we won't have to spend more money on multiple products, no? To sum it up: LOVE, LOVE! I think it has the whole package: Anti-ageing + Whitening + SPF + Eyeshadow Primer + Inexpensive. One of the best products of the year! Price of Pond's White Beauty BB Cream ~ Rs.125 for 18gm | Rs.69 for 9 gm. My Rating ~ ♥♥♥♥♥ 4.8/5. Have you tried this BB Cream? Do let us know if this one shade suits your skin tone. P.S: When will u be announcing the winner of the giveaway? Haha..I sooo agree..I totally love it..on my 3rd or 4th tube..and thankfully its a perfect match for me ! It looks awesome but is it like a bb cream and fairness cream in one? I'm not into fairness creams. Sounds Great...but its not available in States! I totally agree with you CZ. I love this and have wondered how this has not worked well for everybody. The only reason I have not repurchased this is because it makes my face extremely oily, but it is definitely one of my favs and i may repurchase this when my current day cream finishes. Using BB cream as eyeshadow primer! I really appreciate your brain CZ! Wow this seems like a breakthrough in the BB Cream world. I will definitely have to buy it after this review! This is just what I needed. Loved the promosing review, Thanks a ton. Definitely getting this Pond's BB Cream. itsss seriously awesome.i hv been using it .........n alrdy have finsh two tubes of it....!!! !btr dan maybelline n garnier BB creams....!!!! This sounds like a winner, I will be trying this out soon. The colour looks like it would suit me perfectly :) Thank you for the thorough review! I loved your comprehensive review very much..coming to the product I shall try this but actually a bit skeptical as garnier bb cream looks a tad bit darker on me, so have you used garnier bb cream? I tooo loved it :) Nice detailed review! I am not a big fan of Ponds. But since you are rating it 4.8/5, I would definitely try it out. I have an oily skin, will it work well for me? I need to try this!! I hope they launch it soon. P.S. Do you recommend a BB CREAM OR A mousse for daily use???? awesome review...however I hate products that comes with a whitening tag! ABSOLUTELY LOVE this BB cream! this is the first bb cream i have ever tried and fell in love with it's blemish covering abilities! it has saved me from those bad days when i had acne marks and had to go out, it helped me cover up all the scarring! :) i just finished up a tube and am on my 2nd one now. glad to know you like it as well. :) and i was scared of using it on my eyes, so thanks for the heads up mentioning that it can be used as an eye shadow base! It works great on you but made my dry skin more dry and left me with white patches. Your blog looks so cute and great pics..
Its interesting to know that ponds is out with a BB Cream. By the looks of it, seems like a decent product. I love this too..wear it daily to college and I don't need much of coverage and concealing. I am surprised with the eyeshadow primer part. :O that's an awesome bonus! this is not avable in pakistan ????? Today I got it, thought to read about it. Ur article very useful.Now I can use for multipurpose.